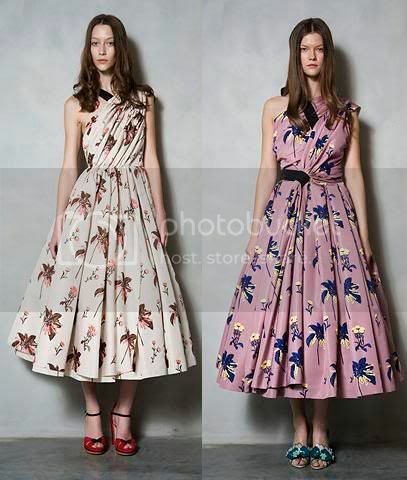 The burst of colours & floral prints has a vintage and country feel, ultra feminine & ladylike. It’s really unexpected from Miuccia Prada. 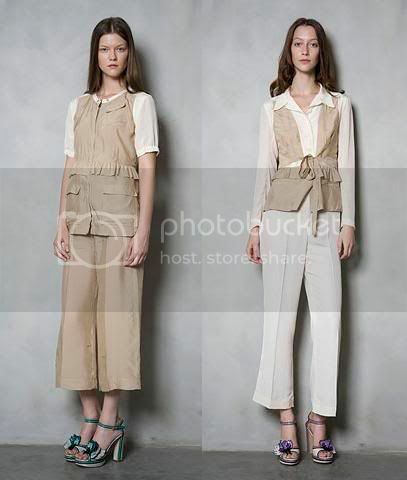 Her designs are more upbeat and modern nowadays but this resort collection is a throwback to the 80s’. On the other hand, the key looks are so not for the urban women (think walking in New York Times Square in one of those floral dresses) but it’s more suitable for travelling? Shopping? Or just a visit to a friend’s weekend party. Seriously, I wouldn’t mind getting any of those pieces and just take a walk at a nearby park right now. Kate Moss for Topshop: who’s wearing it? Gorgeous collection! 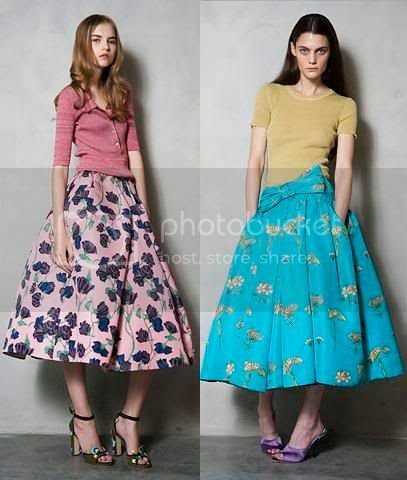 I want one of those skirts!